- Mr 14 and I took a train into the city because he wanted to buy a new top he had saved up for. He is away with his school on a Wilderness Trek this week so it was nice to have some time with him before he left. 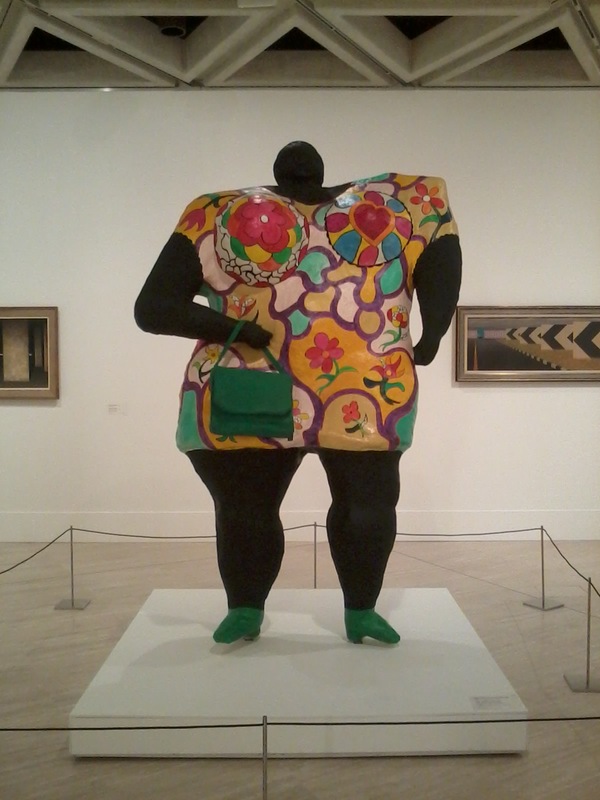 While in the city, we visited the art gallery and Kakulas Bros, which is the cheapest place in Perth for whole foods. I bought some red lentils, chickpeas, textured vegetable protein, Himalayan pink salt, red kidney beans, garlic powder, turmeric, garlic bulbs and some nettle tea. 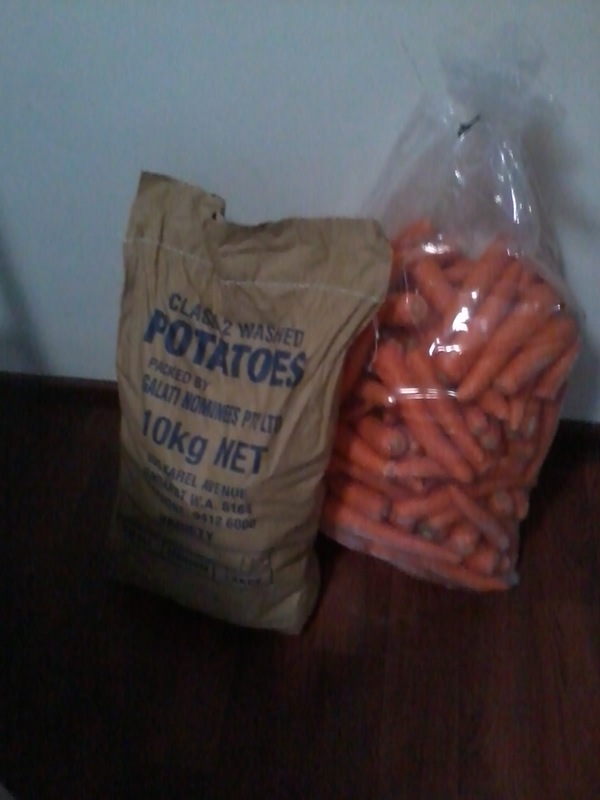 This came to a little over $30-much cheaper than buying them from a supermarket and will last us for months. - A friend took me to a new op shop shes been wanting to visit for a while. 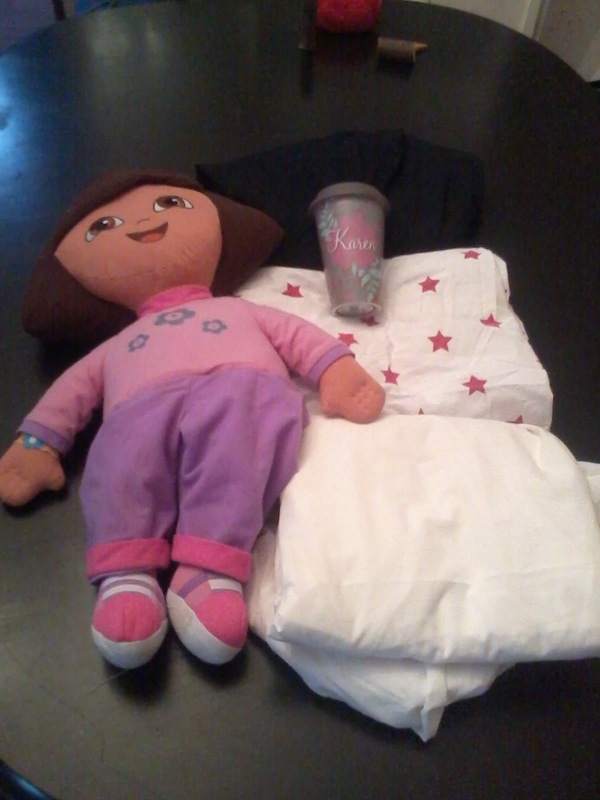 I found some great bargains including $1 sheets which I will cut up and use as fabric to make something else, a 50c travel mug which will be a birthday gift for a friend and a big Dora doll for my little niece who is coming to visit in May. These came out of my gift cash envelope. - I called into Spud Shed to pick up some fruit and got 2.5 kg of bananas for $2, a 10 kg bag of potatoes for $1.99 and 16 kg of carrots for $7. My friend thought I was crazy buying so much! but for 40c a kilo this is a great saving. We peeled, chopped and have frozen most of them. - I boiled some chicken bones left over from a meal and made some chicken stock. - We made a lava lamp for Mr 9's home ed science this week. Using ingredients I already had in my pantry. 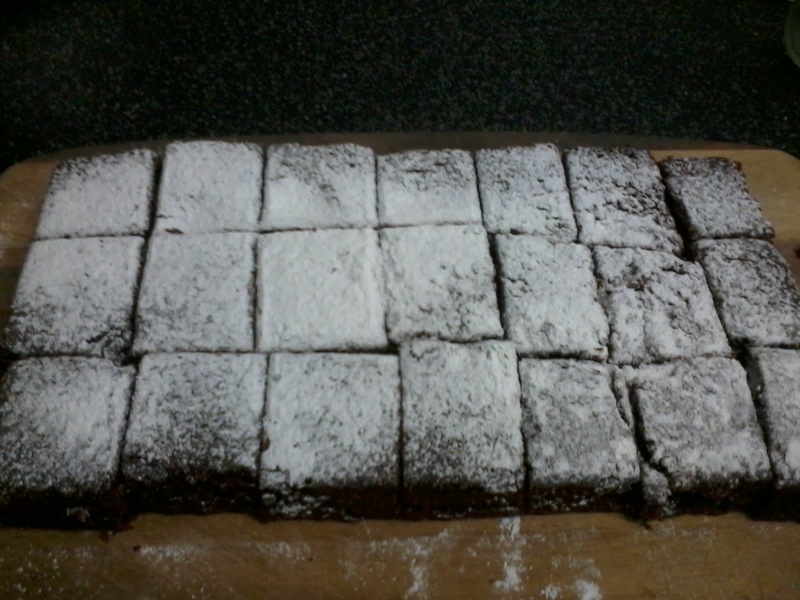 - Mr 9, hubby and I baked custard biscuits and brownies for this week's morning tea. 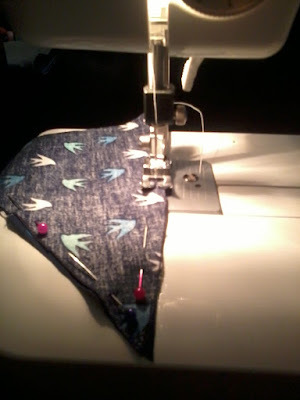 - I started sewing some bunting from old and ripped clothing I have kept. I thought it would be handy to have some ready in our party box. It is Mr 9's birthday next week so I will hang them up and surprise him. 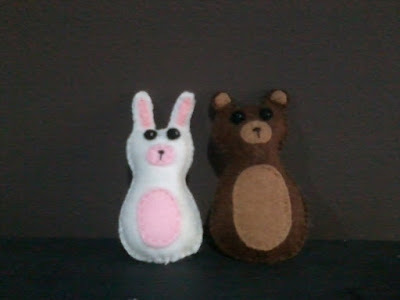 -I stitched a little rabbit and bear for Mr 9's birthday. He has been watching make all these felt creations for others and asked for some of his own! 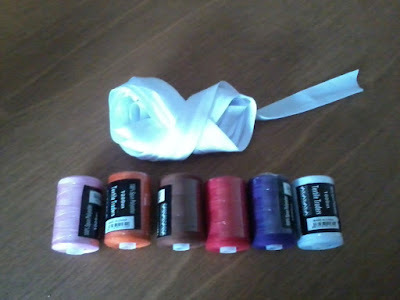 -I bought some thread from a fabric shop and also needed some bias binding. They had a sale of buy 2 get 1 free. Which meant I got 2 reels of cotton 2 meters of the binding absolutely free! 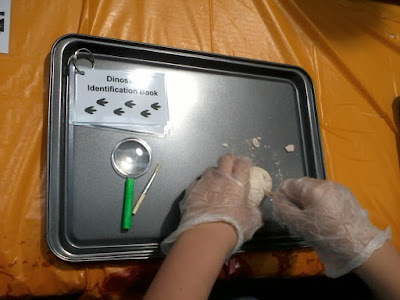 -On Wednesday we went to an Easter family night at Bunnings. Dinner was provided so it was great to have night off from cooking! Unfortunately I developed a tooth ache and spent most of the night in pain. - Decided to go to our local government subsidized dentist for my toothache after a night of bad pain. This works on a first in, first served basis. I got hubby to drop me off at 7 am, ready for the clinic to open at 8.30, I took a notebook to sketch in and a book to read. I ended up being number 3 in the queue and needed the tooth removed. Thankfully I and was out of there by 9.30. I have pretty bad dental anxiety made worse by lack of sleep the night before. On the bright side, 75% of my cost was covered by the government, so my out of pocket expense was only $50. I still have pain in my jaw and gum, so have been taking things easy over the last few days. -Defrosted a tub of lentil soup, for an easy dinner. 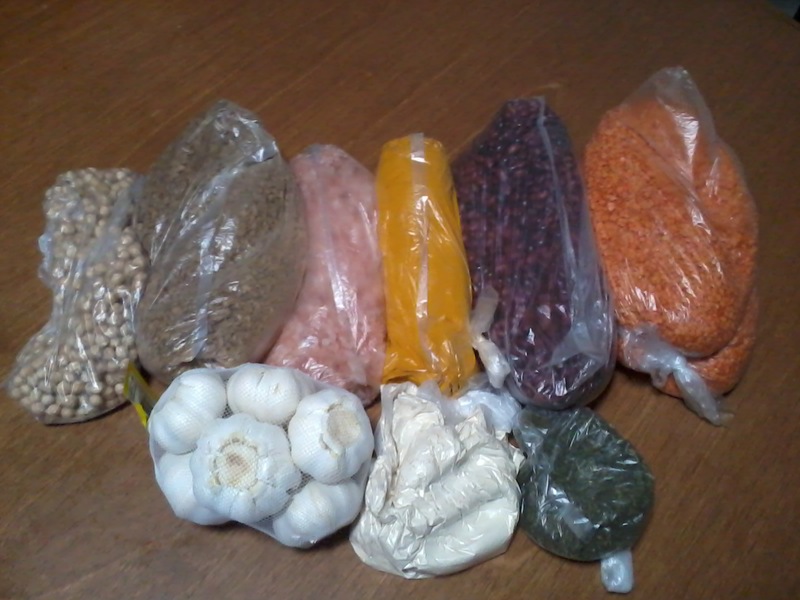 Lentils and other cheap goodies from Kakulas Bros. Potatoes and carrots bought in bulk. 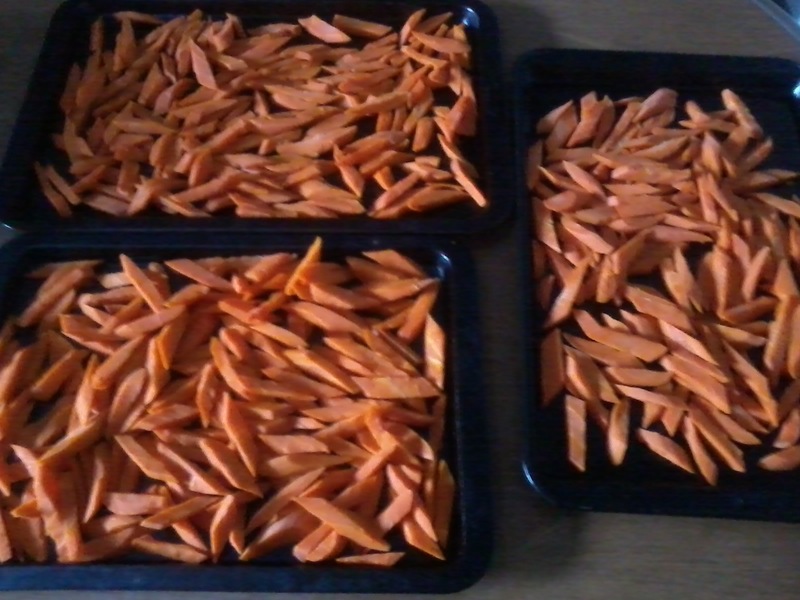 We ended up chopping, dicing, blanching and freezing 12 trays of carrots. Mr 9 excavating dinosaur bones at the Bunnings Easter night. My bargains from the op shop. 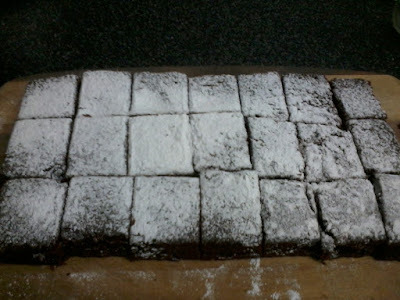 Homemade brownies, never last long in this house! Felt friends made for Mr 9's birthday. My bias binding and cotton ready for crafting. Dear Mel, I made it here at last as Inhave been planning to read all week. i hurt my back,too much sanding and painting or something...anyway this has set me behind somewhat. Good op shopping finds and love your healthy shopping and carrots in the freezer.